The northern province of Bac Ninh is leading the country in foreign direct investment (FDI) attraction, drawing over 2.6 billion USD from 14 newly-licensed projects and 48 capital-added projects in the first quarter of this year. 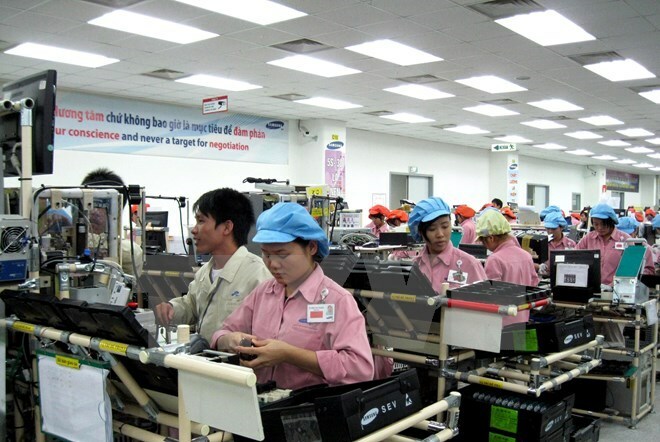 Bui Hoang Mai, head of the industrial parks (IP) management board of Bac Ninh province, said the Samsung Display Vietnam Co. Ltd. in February asked for permission to raise investment capital of its project in the Yen Phong IP to 2.5 billion USD. The board also granted a new investment certificate to Hanwha Techwin Security Vietnam to implement a project worth 100 million USD in the Que Vo IP. 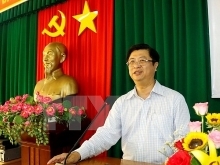 Mai said Bac Ninh has been focusing on developing high-tech and supporting industries. The province has been also stepping up the manufacturing industry to tighten linkages between local businesses and FDI enterprises. Local officials have regularly held meetings with representatives of enterprises in order to remove their difficulties, thus promoting production and improving the efficiency of investment attraction into IPs and industrial clusters. In recent years, Bac Ninh’s investment climate has improved thanks to the province’s efforts to simplify administrative procedures, especially those related to land, construction, labour and customs, thus making it easier for enterprises to effectively operate in the locality. 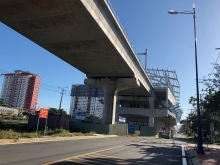 To date, the IPs management board has granted 1,093 investment certificates to domestic and foreign-invested projects with a combined registered capital of nearly 15.9 billion USD.